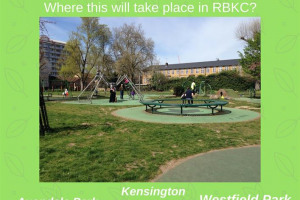 This project was funded on 03 Apr 2018! 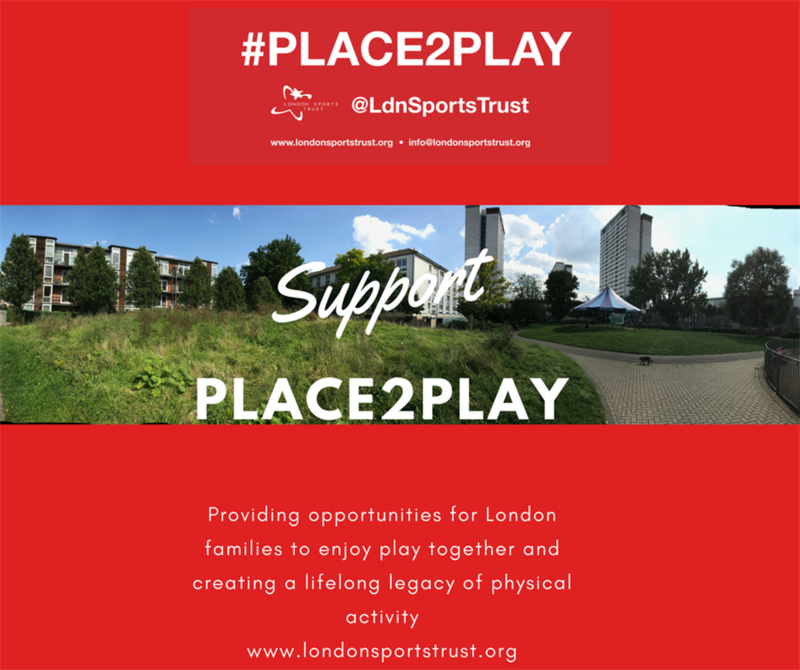 Place2Play is our innovative, new, inclusive, free family “pop up play” programme across London parks & open spaces in 15 deprived areas. 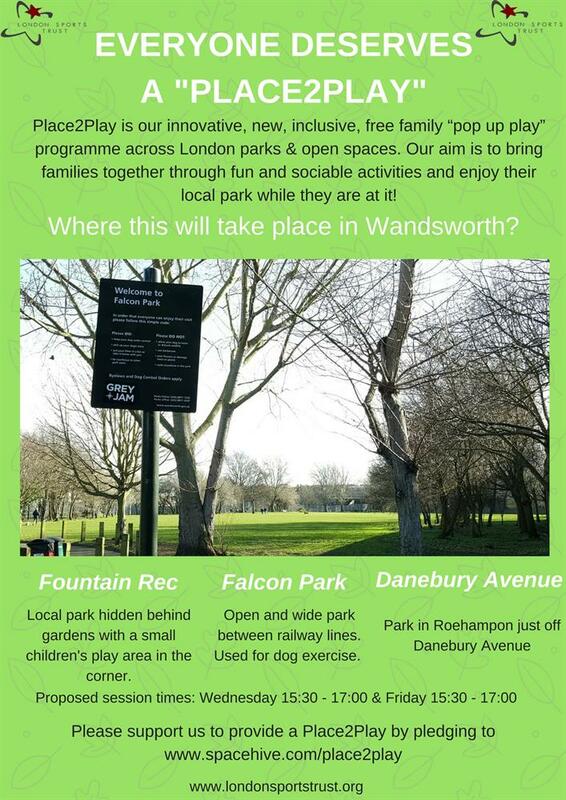 Our aim is to teach and support parents & carers to play together outside. 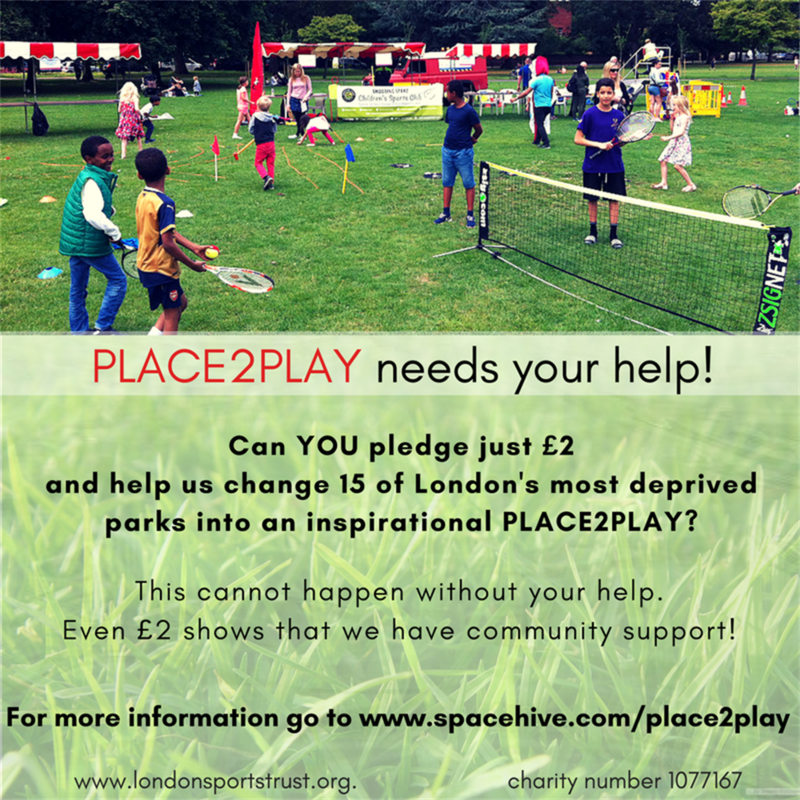 Place2Play gets inactive families trying fun challenges. 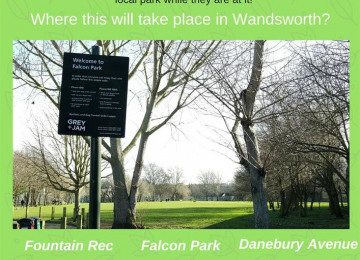 We will create exciting opportunities to be active & enjoy physical activity while learning new skills through local park challenges & online resources. 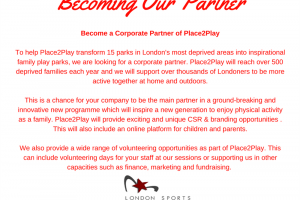 Activities coordinated by our Playleaders will include a wide range of sport & play activity stations for all ages and abilities. From mini parkour to head tennis, there is something for everyone. 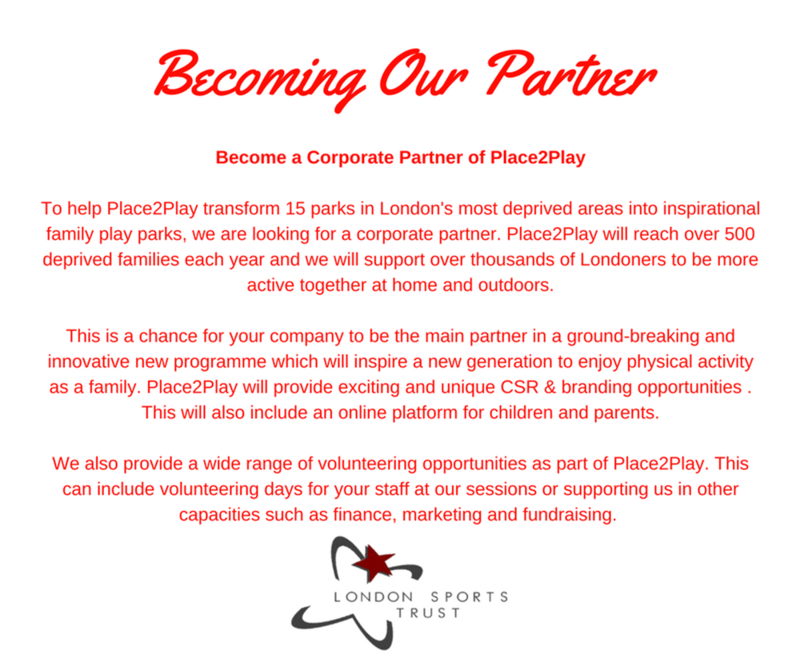 Kids and parents will learn & develop new skills to improve week to week, & parents & volunteers will be trained to support Playleaders. 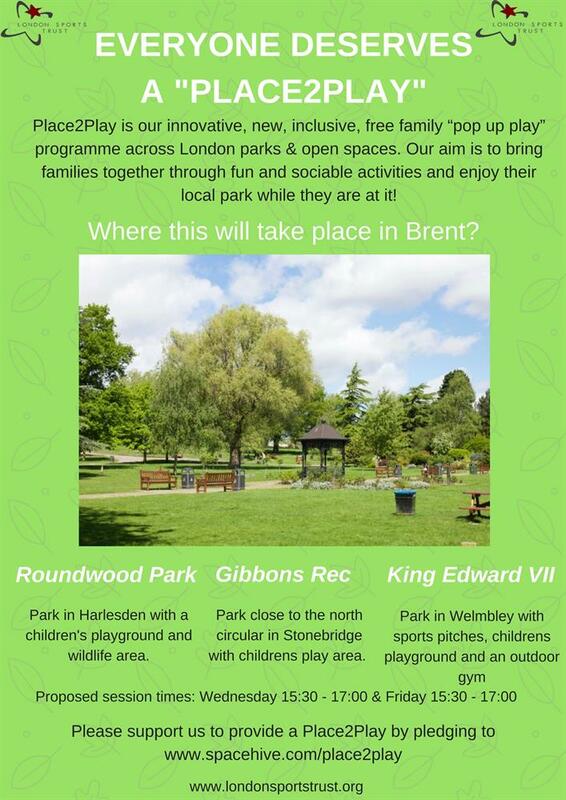 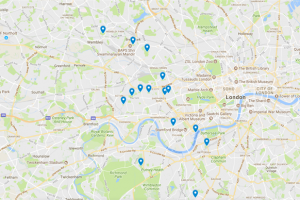 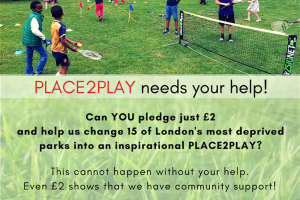 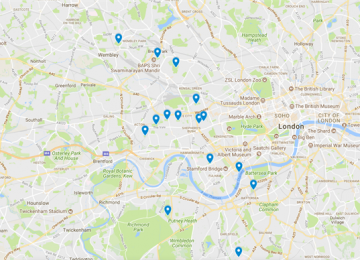 If you live in Hammersmith & Fulham, Kensington & Chelsea, Wandsworth, Brent or Ealing, please pledge your support & help us bring Place2Play to a park near you! 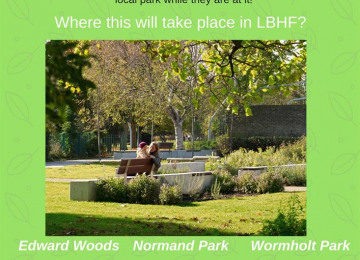 See below the full list of park locations & map view in Gallery. 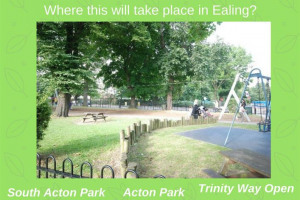 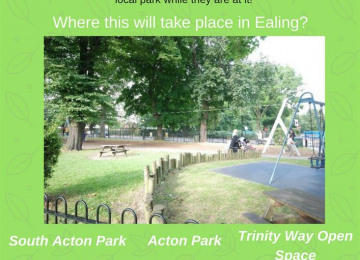 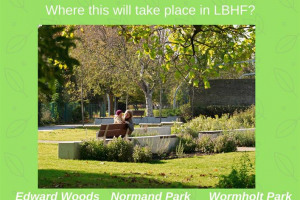 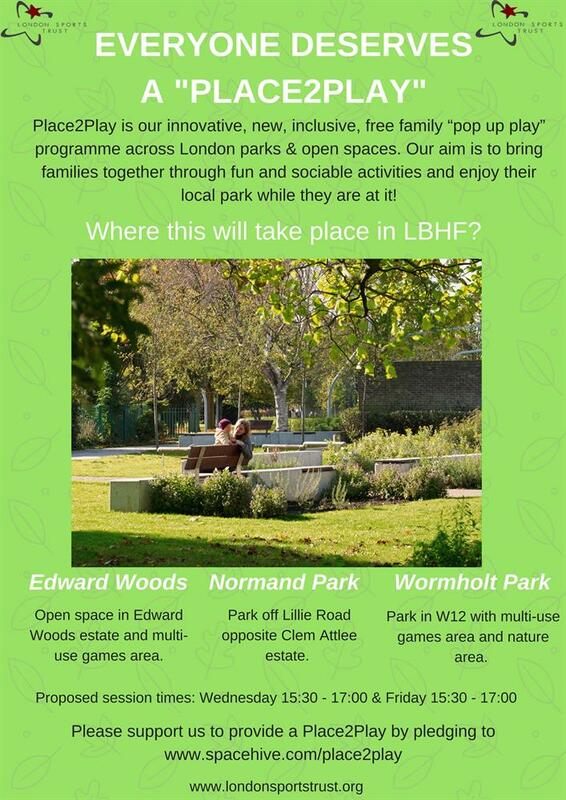 Locations: LBHF Wormholt Park Edward Woods Open Space Normand Park RBKC Kensington Memorial Park Avondale Park Lotts Road Open Space Wandsworth Falcon Park Fountain Road Rec Danebury Avenue, Roehampton Brent Roundwood Park Gibbons Rec King Edward VII Ealing South Acton Park Acton Park Trinity Way Open Space Place2Play leaves a lifelong legacy of families enjoying play together. 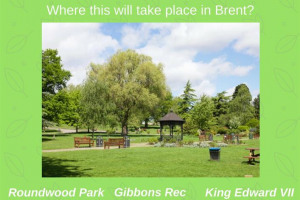 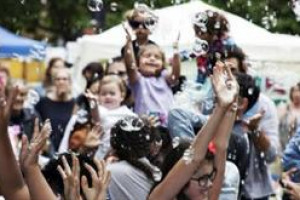 We will upskill 5 parents each year from each borough with a view to them taking a lead role in each location to ensure the continuation of regular activities in the chosen parks. 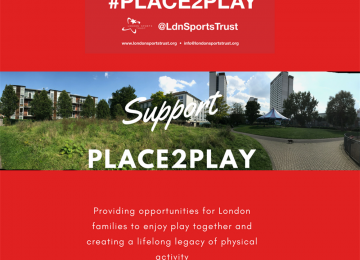 On a long term basis Place2Play will inspire behaviour change in individuals, families and communities to ensure deprived areas in London are more active and healthy! 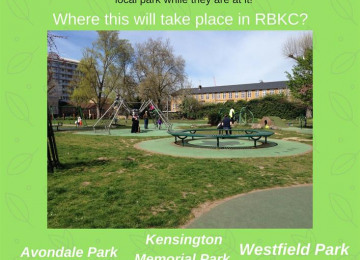 Parks will become hubs for physical activity & daily physical activity will become the norm in these areas. 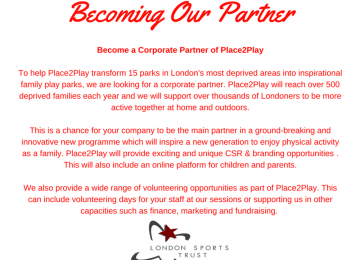 For families & young people who want to transition into competitive or more structured sport we will work alongside clubs to provide pathways. 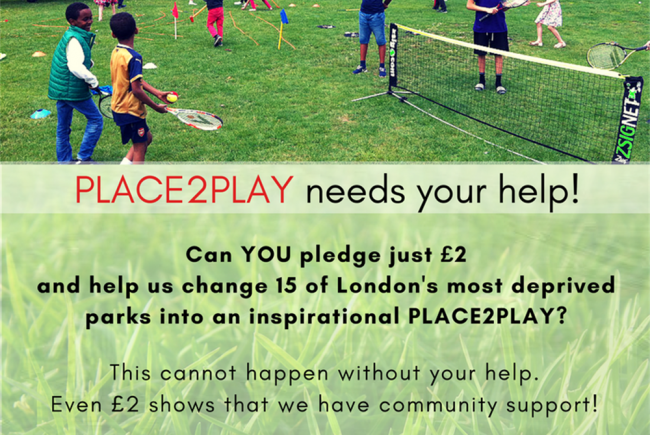 Whoop, 130 people have pledged since fundraising began! 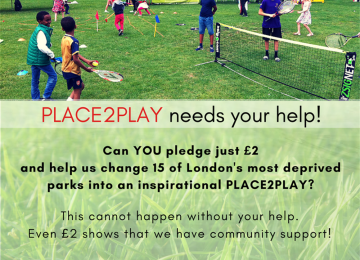 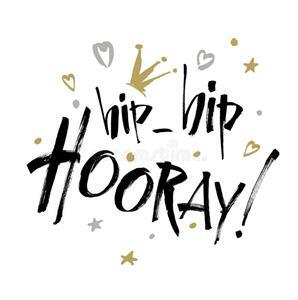 Whoop, 120 people have pledged since fundraising began! 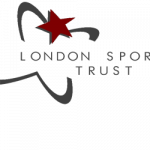 London Sports Trust aims to inspire positive change to disadvantaged Londoners through the power of sport and to provide training, support and guidance to achieve their sporting, life and educational goals. 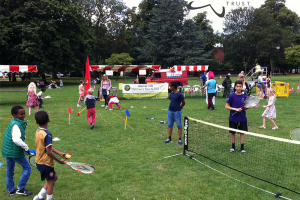 We believe in young people's capacity to aspire and achieve to maximise their potential despite the barriers they face. 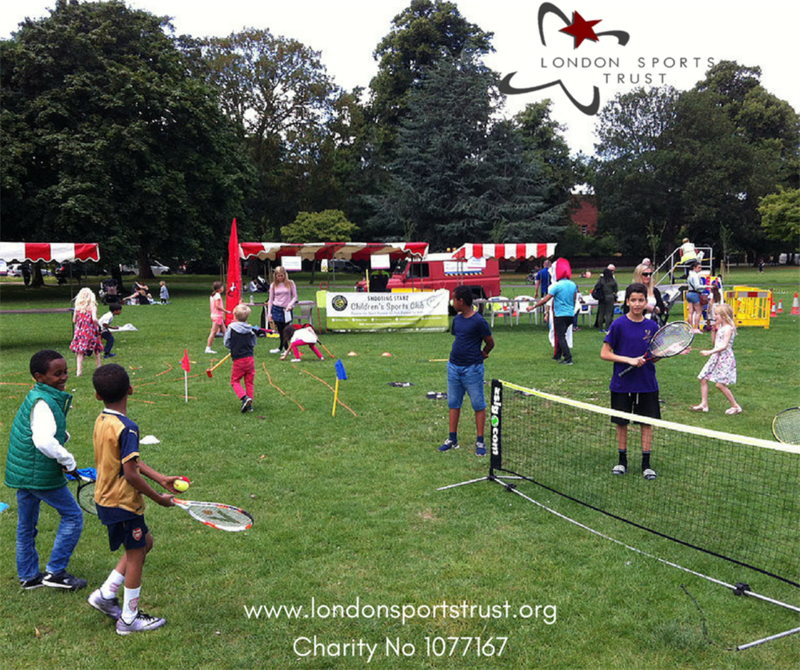 City Sports Academies (CSA) is our inspirational sports programme for children and young people (CYP) and their families on the most deprived housing estates in the tri-boroughs of Hammersmith & Fulham, RBKC and Westminster aged between 8 –16 years old or up to 25 years (SEN or learning disability). 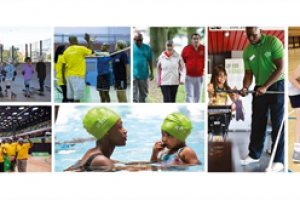 CSA incorporates our training element 'Skills for Life' that afford disadvantaged residents the same opportunities as others to lead positive independent lives. 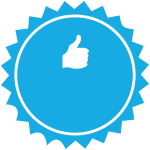 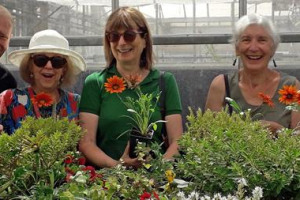 Our training courses cover leadership and coaching as well as more practical skills like finance, cooking and DIY. 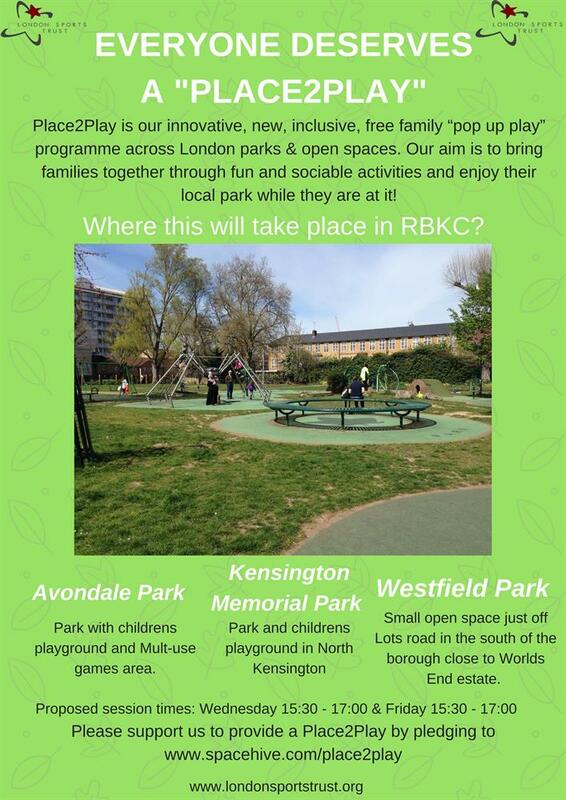 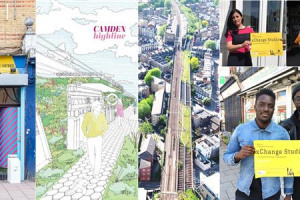 We have delivered these programme across RBKC, LBHF and Brent over the last 3 years. 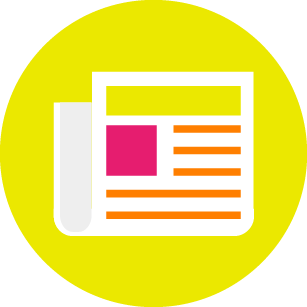 Apprenticeships and Enterprise provides work experience for young apprentices aged 16-24 in nurseries and schools shadowing our coaches. 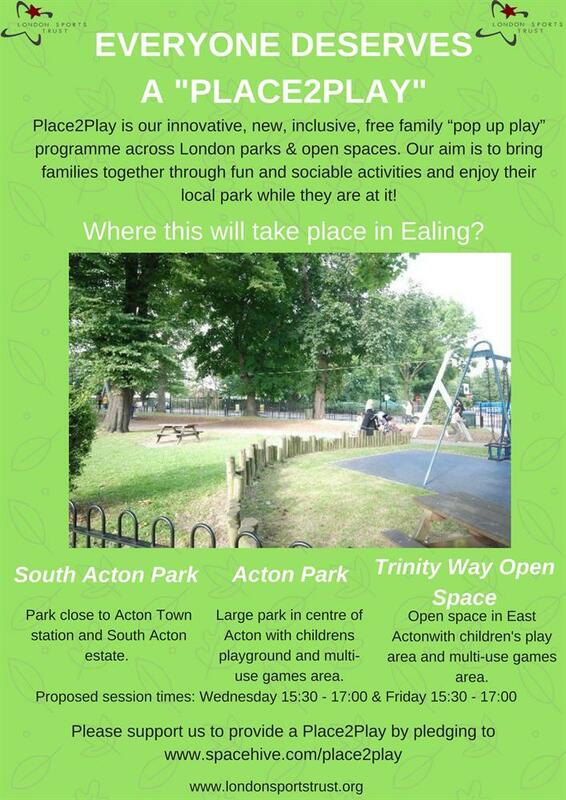 Active Communities is our family programme engaging young parents to learn and play with their children. 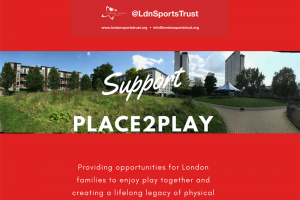 Project Delivery Manager: The London Sports Trust The Project Delivery Manager takes legal responsibility for receiving and spending the funds raised and ensuring the project is delivered.